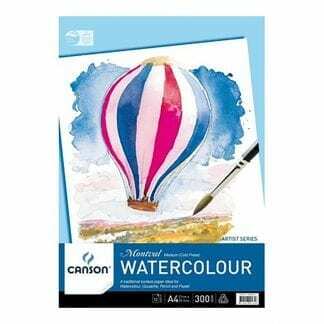 Canson Montval watercolour paper has a great erasability. The essential key for this high quality watercolour paper is this ability to easily make corrections. This paper allows corrections even using a simple brush stoke. Canson Montval was designed by the famous painter Gaspard Maillol in the early 20th century and made on a Foundrinier machine. 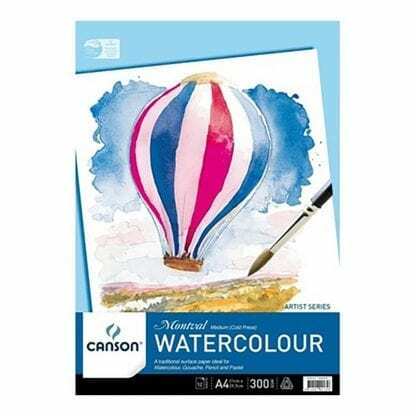 Canson Montval is “THE” paper when it comes to watercolour, however it can also be used with other wet techniques such as gouache or acrylic. This beautiful cold pressed surface allows for multiple reliefs and effects.